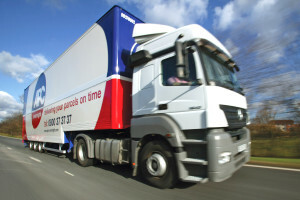 Operating profit fell by a quarter last year at The Alternative Parcels Company, parent of APC Overnight, despite an 11 per cent rise in turnover. The company produced an operating profit of £2.8 million for the year to 21 March 2015, down from £3.7m the year before. Turnover, at £98.8m, was up from £88.6m in 2014. The directors review said network trading performed well during the year. Gross profit percentage fell by 116 basis points mainly due to changes in the market and traffic profile couple with the additional costs associated with operating across multi sites while establishing the facility enhancements at Cannock sortation centre. These enhancements included installation of two sky sorters above the existing plant to increase volume throughput. In additional, two and a half acres of land was developed into a trailer park. Some 45 trailers were added to the fleet during the year, and new ePos devices were fully rolled out providing enhancements such as route optimisation as well as providing a platform for further development.